Rachel Buse is an artist living and working in Des Moines, Iowa. She makes soft sculptures for you to play with and crawl inside. Sometimes they just lay about, invading other people's spaces, like in the LAZE Project. You can follow along by by signing up for the newsletter. Email for commissions and inquires of all kinds. Project Project is pleased to announce the opening reception of Loophole by Des Moines-based artist Rachel Buse. At Project Project, we take having fun very seriously and we could not think of a better way to start the year than working with Rachel. 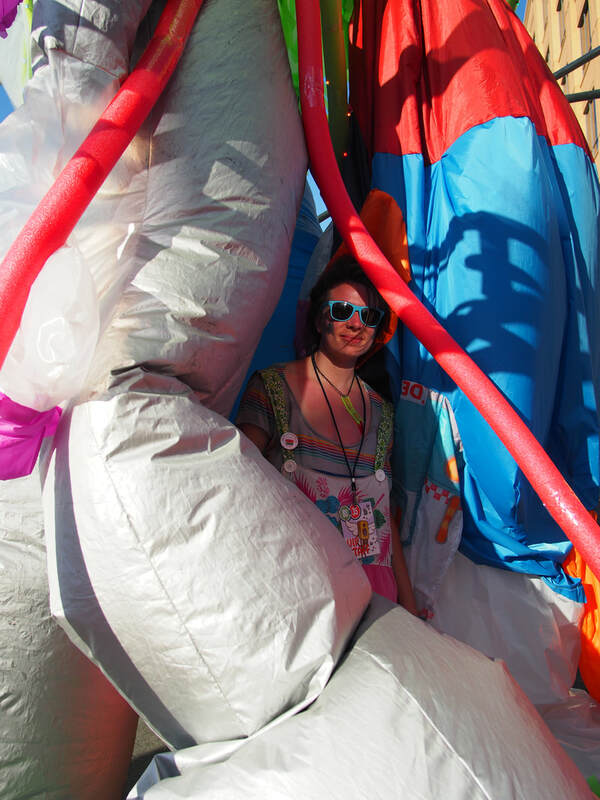 Her over-the-top, abstract, Macy’s-parade-nightmare work will transform our space into a handmade psychedelic Playplace. Please join us in celebrating Rachel and her work! As always, Project Project is free and open to all. Project Project is organized by Joel Damon and Josh Powell.